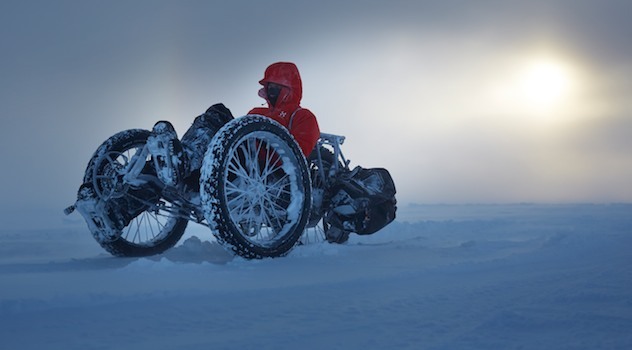 Pretty awesome press release from ICE today revealing a £20k custom trike designed to make an attempt on the South Pole shortly…. It’s geared low enough to climb 1:3 grades and looks to be running three 26″ wheels with fat bike tyres. See White Ice Cycle for all the details!